Who are AM1NAH products for? AM1NAH products have been created with Love to meet the needs of each individual member of health-conscious families – for the Heads of each Blessed household, for the blessed children and beloved pet dogs and cats. Yes, that’s right – there’s something for everyone to enjoy! Proud to offer Convenience With out Compromise we are established to create Mother Nature’s Healing, Cleansing and Holistic Tonics for All. Are your products suitable for those following the AUTO-IMMUNE PROTOCOL (AIP), PALEO, Gut And Psychology Syndrome (GAPS) or IRRITABLE BOWEL SYNDROME (IBS) diet? We have ensured that our AM1NAH PURE and AM1NAH DETOX recipes follow the AIP dietary requirements as Liquid Gold Bone Broth is the ideal healing tonic for those following the AIP, PALEO, GAPS or IBS diet. Our AM1NAH AROMATIC recipe (Pili-Pili) is not recommended due to the fact that it contains crushed scotch bonnet chilli which may trigger symptoms. However, once symptoms have improved you can add this flavour to your diet as the scotch bonnet “pili-pili” chilli has a number of medicinal benefits. What is Broth Infused Chai? Our unique Broth Infused Chai are medicinal and healing brews that provide your body with warmth and nourishment. What are the benefits of sipping Broth Infused Chai? The benefits are numerous. Green Chai is known to prevent clogging of the arteries, assist with heart and cardiovascular difficulties by improving cholesterol and reduce the risk of a stroke. Black Chai is known to protect the lungs from damage caused by exposure to cigarette smoke, expand the airways making breathing easier for asthmatics and contains theophylline which increases blood flow in the capillaries and helps the body maintain a normal blood pressure. What is Liquid Gold Bone Broth? Liquid Gold Bone Broth is a beverage that has been consumed for thousands of years throughout different cultures. It is typically made with marrow bones and can contain a small amount of meat adhering to the bones. As with stock, our bones are typically roasted first to improve the flavour of the Bone Broth. Our bones are then left to soak in Mother Nature’s natural antibiotic to release vital vitamins and minerals – Raw and Distilled Apple Cider Vinegar that contains The Mother. It is unrefined, unpasteurised and unfiltered. The Mother is a colony of beneficial bacteria, similar to a Kombucha SCOBY that helps create vinegar through a secondary process and the acetic acid created during this process is contained in certain medications due to the role it plays in balancing blood sugar, blood pressure and dissolving cholesterol deposits in arteries. The flavoursome bones are then slowly and gently left to simmer overnight with healing vegetables and spices to produce gelatin-rich broth from collagen-rich joints. What sort of bones do you use to make Liquid Gold Bone Broth? We use 100% Grass Fed Beef, Lamb and Goat Bones and Naturally Reared, Ethically Farmed Chicken Bones. We are firm believers in nose-to-tail, farm-to-mouth cooking with a zero waste policy. We use the best parts of the animal – head, feet, joints and skin – less flesh and more bone as within the marrow is where the flavour lies. As many cooks know, there is a richness and a depth that only bones can bring to a dish. Bone marrow is one of humanity’s first super foods eaten by our early ancestors and is full of protein, calcium, phosphate and magnesium. 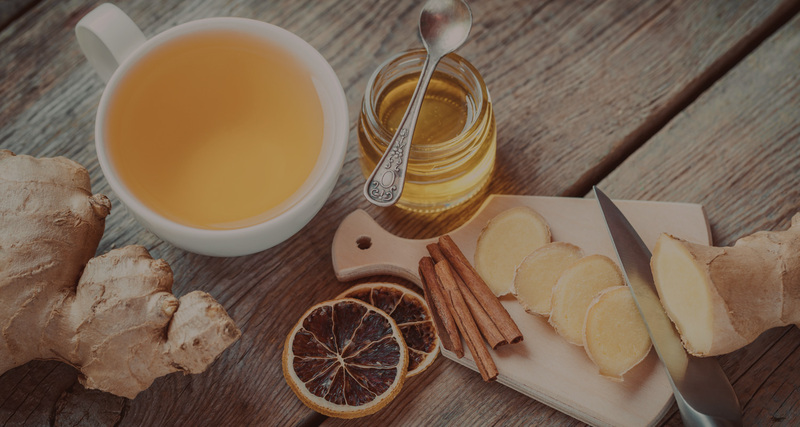 What are the benefits of sipping or cooking using Liquid Gold Bone Broth? The benefits are so vast so consider this a short version! Bone Broth contains valuable minerals in a form your body can easily absorb and use. Bone Broth boosts the immune system, aids in fighting inflammation, strengthens bones and aids in digestion. Bone Broth contains calcium (your heart muscles and nerves need calcium to function properly), magnesium (detoxification, energy production, formation of healthy bones and teeth), phosphorous (regulates hormones, keeps bones and teeth healthy, improves digestion), silicon (boosts the immune system), chondroitin (helps to support joints – rebuilds cartilage naturally and boosts recovery of tissue after injury or exercise), glucosamine (helps with inflammation) and contains a variety of trace minerals. The great thing about Liquid Gold Bone Broth is it is extremely versatile. If you are healing an ailment such as leaky gut, chronic back pain, inflammation or irritable bowel syndrome we recommend that you drink it on a daily basis – generally 7 – 8.5 oz per day. You can add it to smoothies. You can also cook with it! Use it to replace MSG-filled boxed stock cubes for any recipe. Think of Liquid Gold Bone Broth as another way for your body to receive essential vitamins and minerals. If I am drinking Broth Infused Chai and Liquid Gold Bone Broth on a daily basis how many pouches do I need per month on subscription? If you plan on drinking an 8.5 oz glass per day of Chai and Broth, based on our 500ml pouches, you will need around 12 x 500ml pouches (alternatively you can select 6 x 1ltr pouches) per month. What is Scotty Bons Chilli Oil and how is it healthy for me? Scotch Bonnet Chilli has a number of medicinal benefits. It contains capsaicin, normally used for manufacturing medications such as analgesic, pepper spray and circulatory stimulants. It has also been found to be capable of preventing and blocking the growth of cancer cells. It is an excellent source of phytochemicals and vitamins such as vitamins A, C (ascorbic acid) and B, iron, carotenoids, niacin, riboflavin, flavonoids and magnesium. The pepper can be used for treating different types of pain such as rheumatoid pain, headaches, osteoarthritis pain, painful diabetic neuropathy and inflammatory heat due to the capsaicin present. It is used for preparing traditional soups and medicines taken to relieve chest congestion and for preventing sinusitis. Asthma, shedding excess body fat and reduction of cardiovascular diseases such as hypertension, coronary heart disease and atherosclerosis are also treatable due to being an excellent source of capsaicin.